– mainly for the wholesale market for the professionals and 場外（jōgai）- Tourists can easily pay a visit to this famous place. 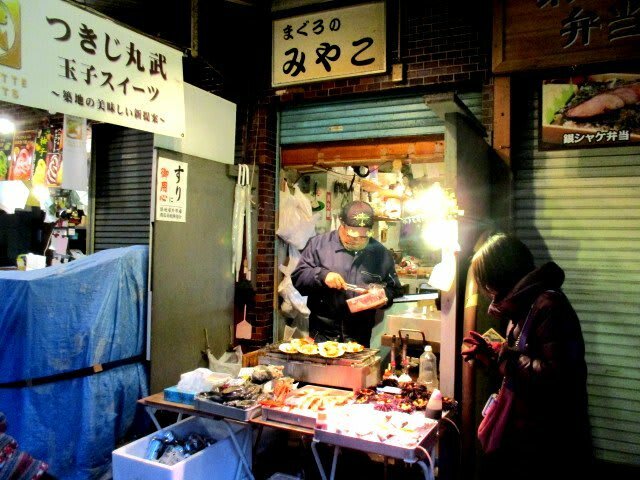 We’ll tell you about the famous shop Maguro-no-Miyako at this location where you can eat delicious gilled seafood at Tsukiji- jōgai –shijō. Maguro-no-Miyako is a shop where you can buy and eat specially Maguro (Tuna fish).This shop is famous for grilled seafood. They select only sea tuna with care.Grilled seafood is especially delicious with soy sauce and beer! 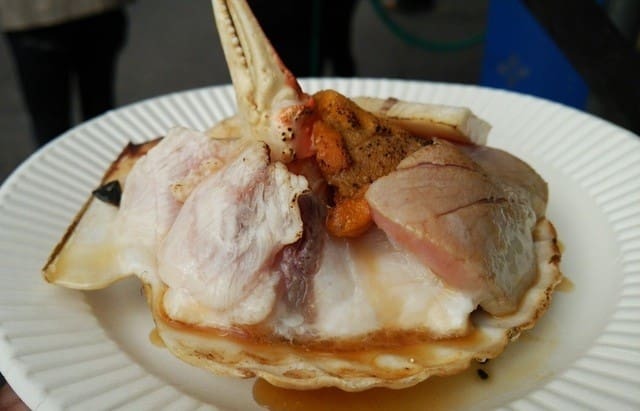 One of the wonderful gourmets from Tsukiji –jōgai-shijō. One of popular dishes of Maguro-no-Miyako is “grilled seafood”.You can enjoy rich taste of sea urchins, scallops. The soup from scallop makes you mouthwatering. Very tasty! 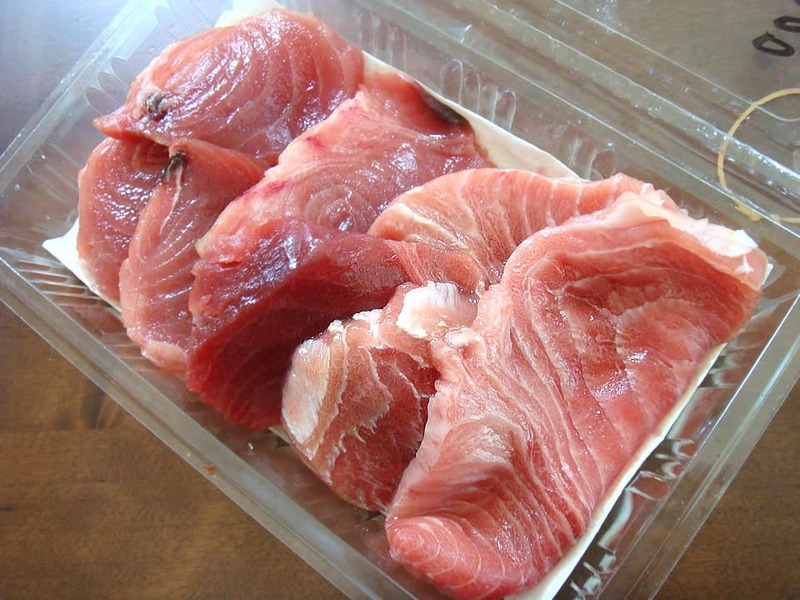 Slices of tuna steaks- you can enjoy it at the shop or take it with you. Slices of tuna steak is besides grilled seafood also popular at this shop. You can eat slices of tuna as Sashimi. Or you can take it with you. So you can enjoy grilled tuna with soy sauce at your own place. Sashimi of- and grilled slices of tuna are both delicious.